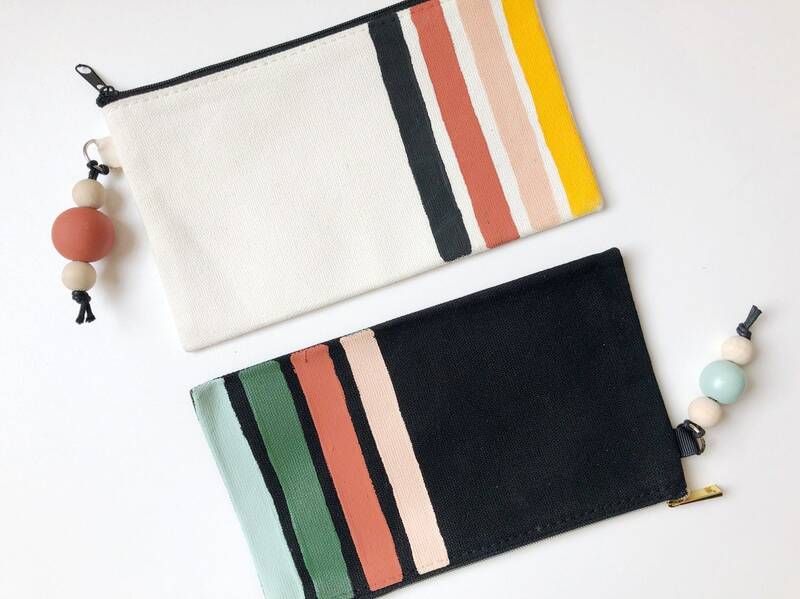 Take Pleasant Avenue with you on the go! 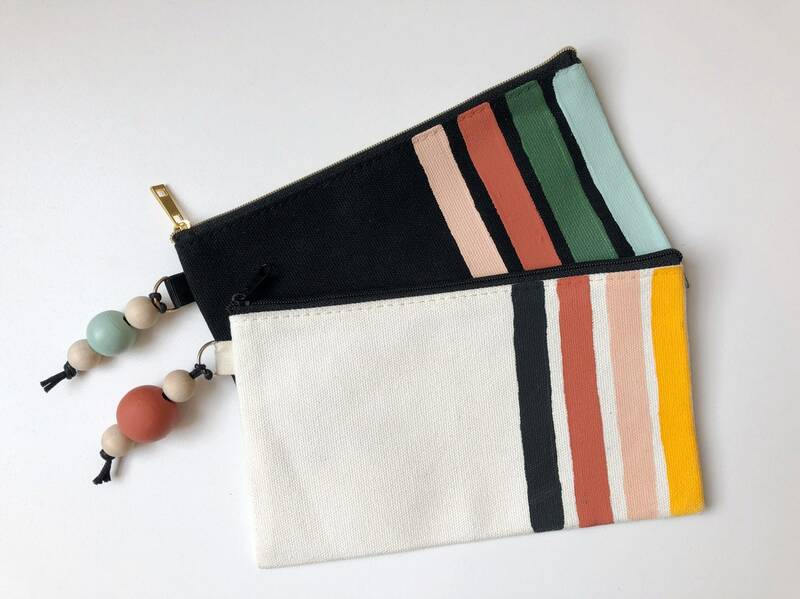 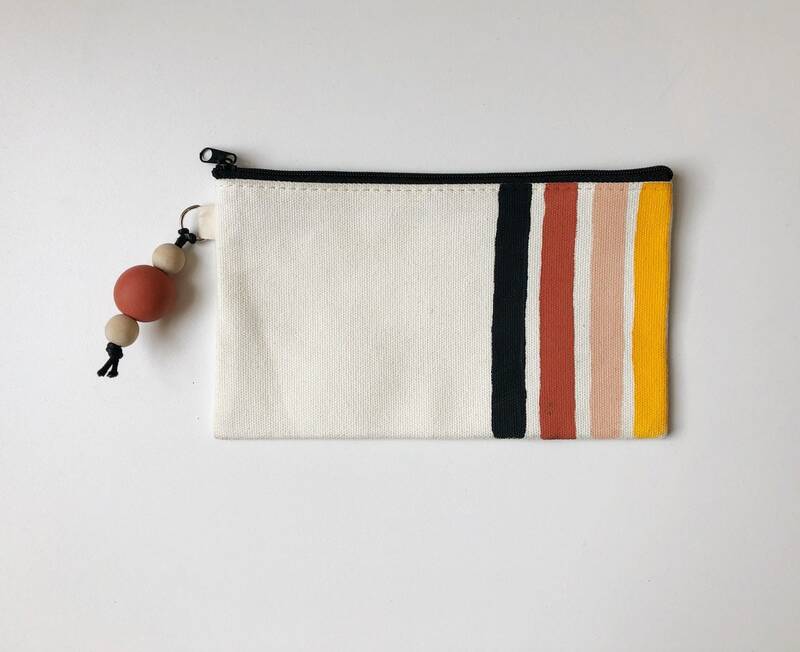 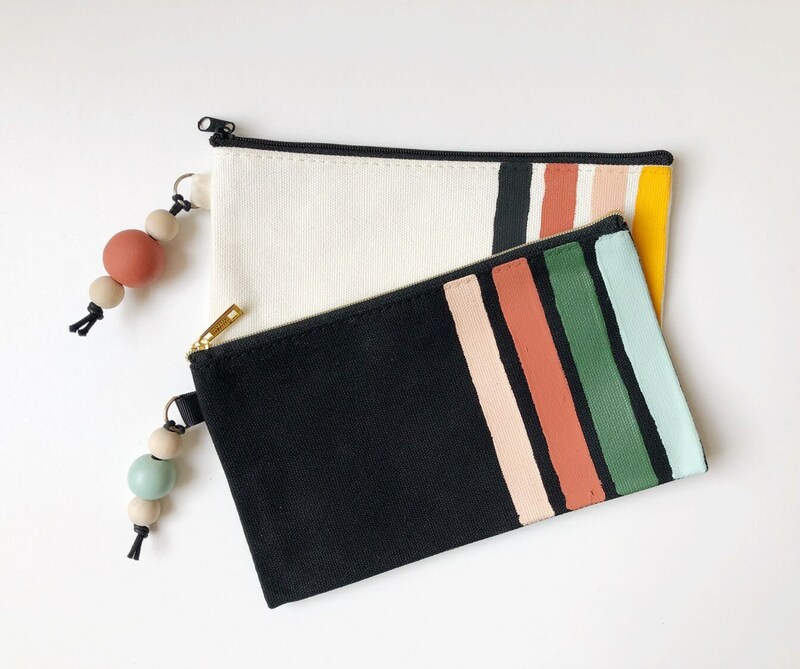 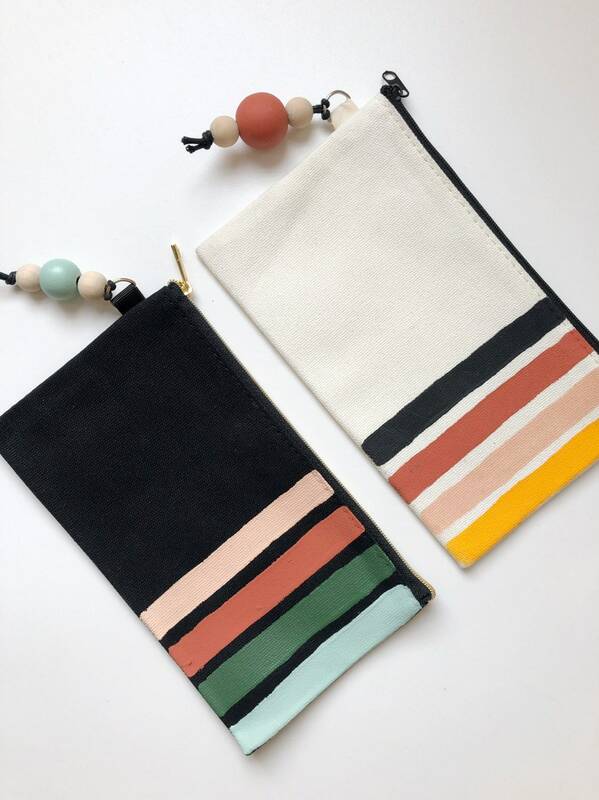 These handpainted canvas zip pouches are perfect for storing pencils, erasers, clip doodads or your makeup supplies. 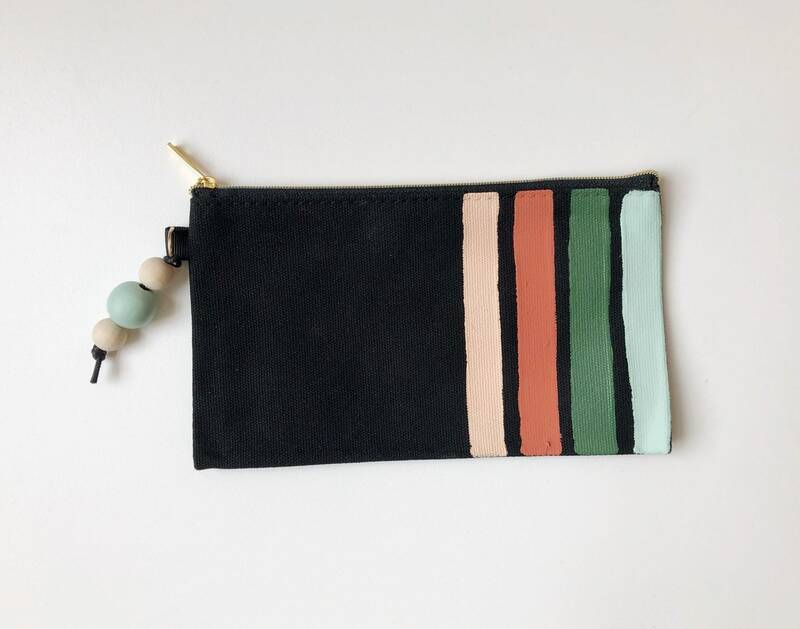 The zip pouch measures 7 3/4" x 4 1/2" with a black zipper and handpainted beaded tassel for extra flair.